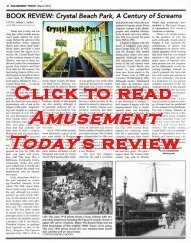 Was there any spot within a hundred miles of Buffalo that produced more screams than the fabulous midway at Crystal Beach? The sounds, scents and screams that emanated from the midway spanned many generations and eras. 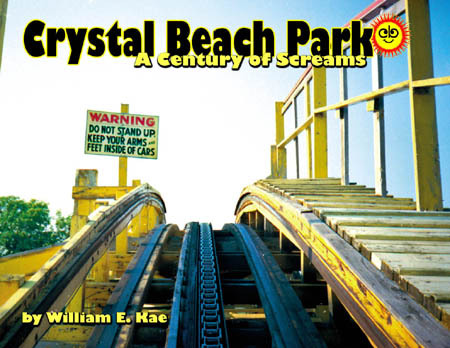 Crystal Beach Park: A Century of Screams presents the growth and development of Crystal Beach and the people behind the park from its start as a picnic grove in 1890 to a major amusement park through its 1989 demise. All of the rides that populated the midway through the century are presented with more than 300 vintage photographs, including more than 30 color images and blueprints. The midway was known for offering a smorgasbord of rides that ranged from the sedate to the sadistic. Vivid details about more than 100 of the park's major rides. For example, did you know that there was an attraction that debuted in 1910 called Trip to the North Pole? Original blueprints of the Comet, Magic Carpet, Laff in the Dark, Caterpillar and the famous dance hall. Unique site plans that illustrate the many physical changes throughout the park over the decades. Author William E. Kae has created a very user-friendly book. The wealth of information and vintage photographs are meticulously arranged in chronological eras. 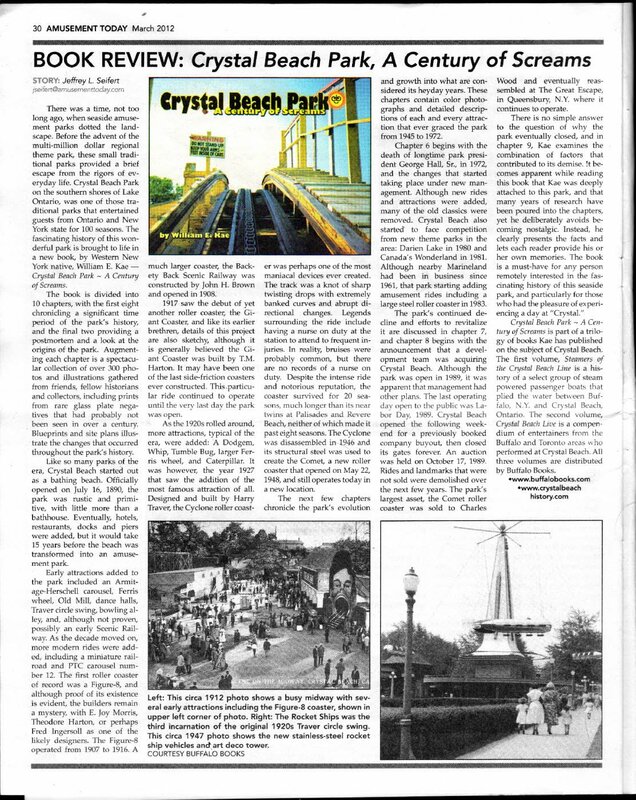 The presentation allows readers to explore the evolution of this magical place, from its modest beginning as a picnic grove to a major entertainment mecca.